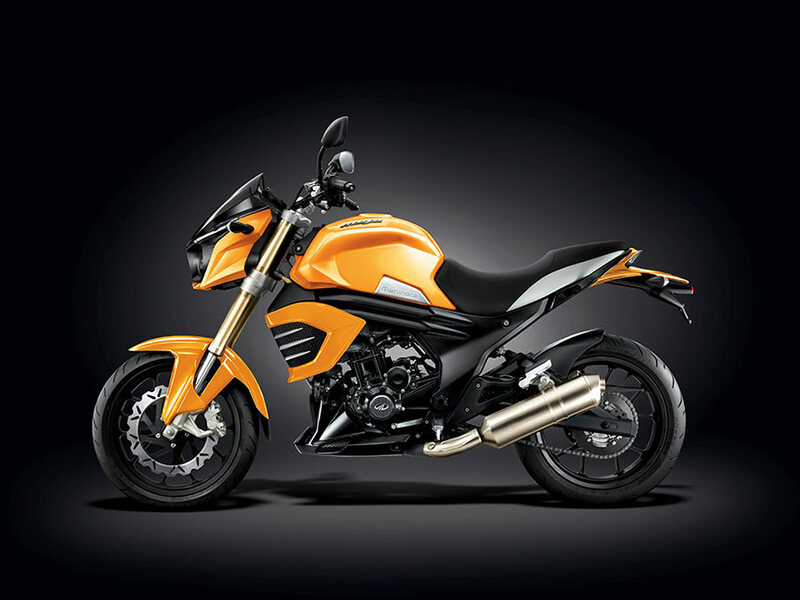 Mojo is the first-ever touring motorcycle introduced by Mahindra 2 Wheelers. Since its launch on October 15, the motorcycle has generated good traction especially the highway bikers. 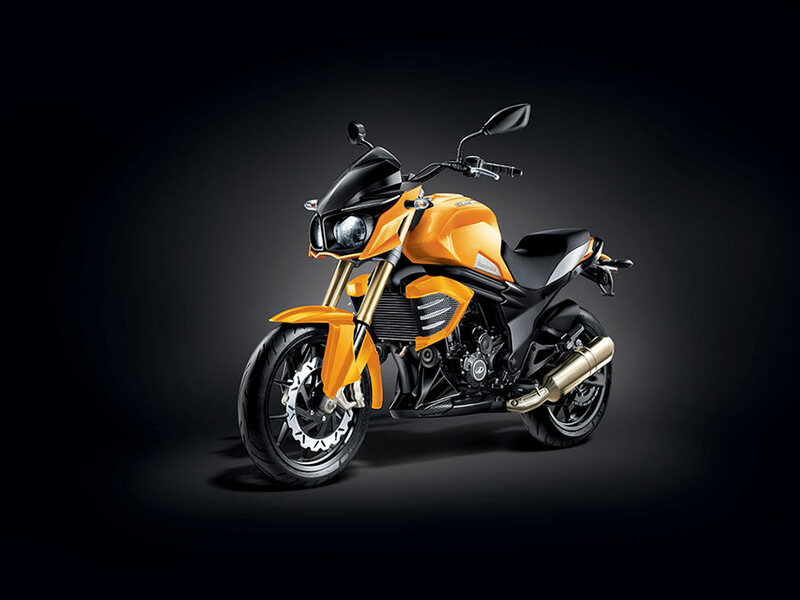 Now the company has launched Mahindra Mojo in Sunburst Yellow Matte color option. 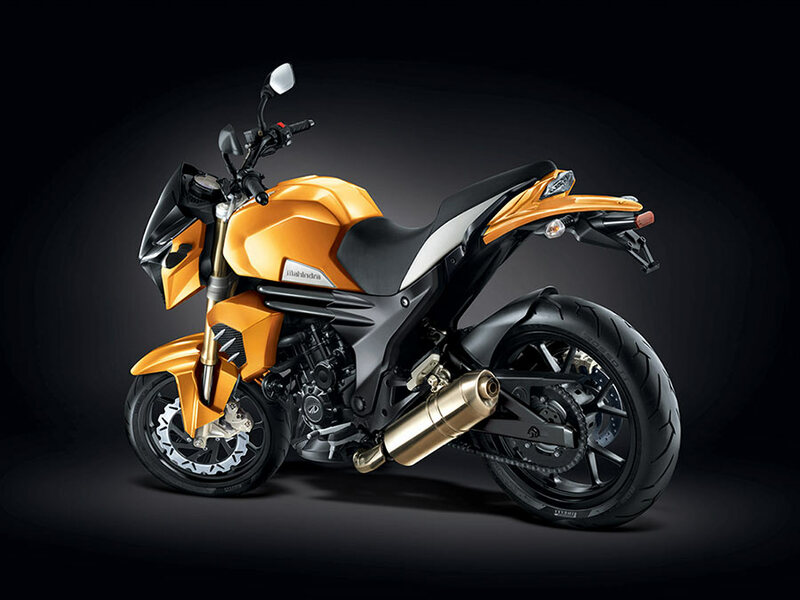 Before the introduction of Sunburst yellow matte color, the motorcycle was available in 3 different color options only. Mahindra Mojo sporting the Sunburst yellow matte color was first showcased at Delhi Auto Expo 2016. The new Mojo in Sunburst Yellow color gets more black treated elements than the current models with existing color variants. Once can notice the enhancement in the way how the motorcycle looks when compared to other color themes. Mojo gets a matte finish hue for fuel tank, headlamp cowl, front fender with a neat finishing. Mahindra mojo was introduced to Indian market in a phased manner. It has been more than an year, since the Mojo has been introduced in India and the motorcycle is now available across India. Mahindra has hosted various road trips as per its community building effort. The Mojo Tribe ownership club as well as the Mojo Trail road trips are a part of brand awareness program. Mahindra Mojo is aggressively trying to reach bikers who are touring enthusiasts and love long distance rides. Talking about the Mojo, the bike is powered by 300 cc single-cylinder liquid-cooled engine which is capable of delivering 27.2 PS (20 KW) of power and 35 Nm of torque. 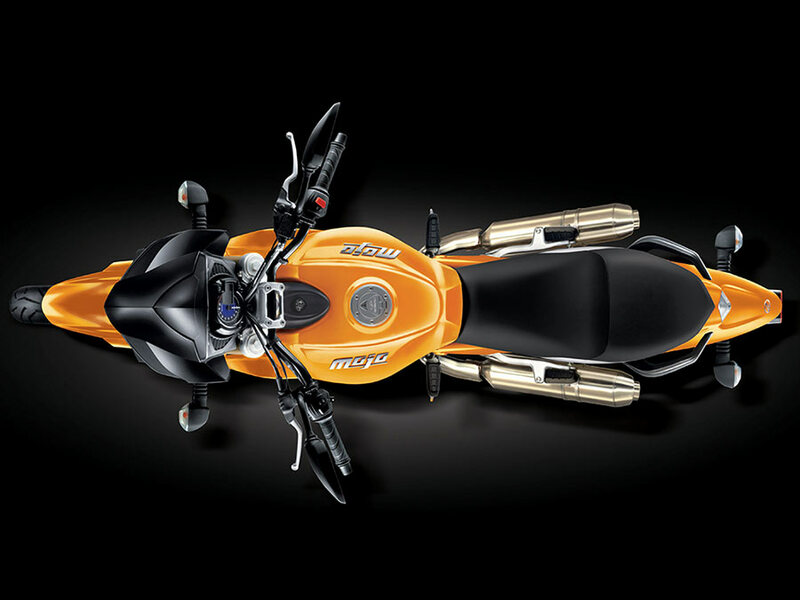 Mojo’s 300cc engine is mated to a 6-speed manual transmission gearbox. The Mahindra Mojo gets a price tag of INR 1.7 lakhs (ex-showroom, New Delhi). With the introduction of Mojo in new Sunburst Matte Yellow color, Mojo now comes with a choice of 4 color variants. The color combination includes Black, White, Red-White and Sunburst Yellow.